The Soundbyte: Cabernet Franc has often been thought of as Cabernet Sauvignon’s more cerebral and refined little brother. Lower in tannins and acids, not quite as full-bodied, and more aromatic and herbaceous than Cabernet Sauvignon, Cabernet Franc is also much better able to withstand cool temperatures and ripens early. These characteristics most likely led to Cabernet Franc’s plantings in Bordeaux, where it still holds fast as one of the red grapes of the Bordeaux blend. The grape’s cold weather-heartiness is also leading to increased plantings in much of the new world, and it’s unique “elegant-structured-spicy” quality is inspiring new legions of fans. However, it might be time to hang up the “Cabernet Sauvignon’s little brother” cliché, and the sooner the better: recent DNA technology has confirmed that Cabernet Franc, with a little help from Sauvignon Blanc, is actually Cabernet Sauvignon’s father. 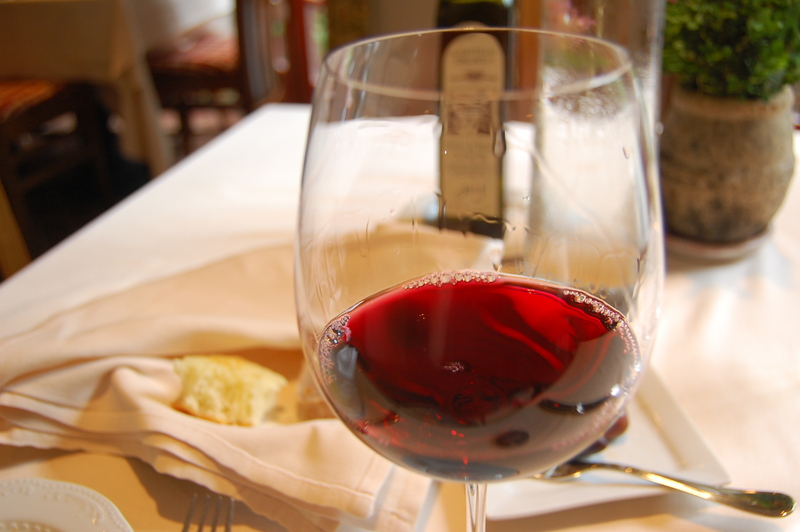 Medium tannins, sometimes referred to as “silky”, “fine”, or “well-integrated” tannins. Whatever you call it, Cabernet Franc does indeed have a lower tannin profile and a smoother mouth feel than many red wines. Elegance, finesse, and well-structured: well-earned terms used to describe Cabernet Franc’s balanced, moderate tannin and moderate acidity combination. 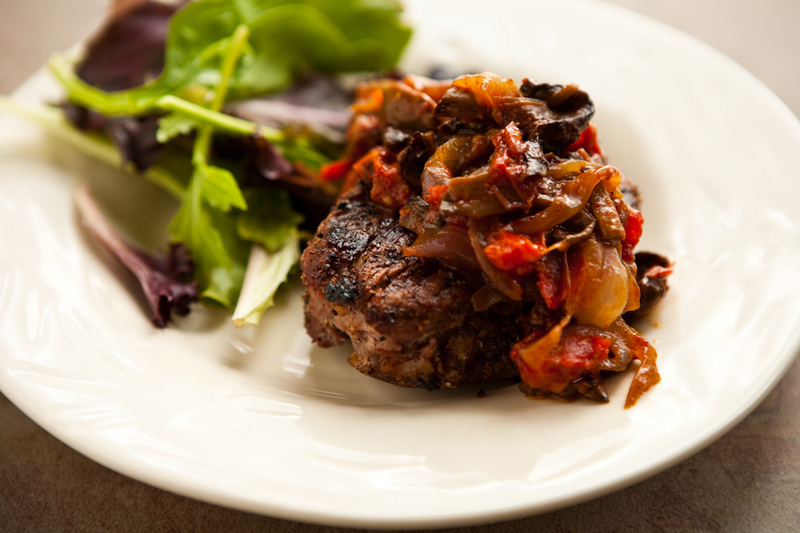 Typical flavors and aromas include red fruit, berries, perfume, and spice. Bright, sometimes pale-red in color, although the color and depth can be deeper in warm weather versions. Though typically thought of as lighter wines, Cabernet Franc-based reds from strong vintages or warmer climates can be full bodied and well-structured for aging. Cabernet Franc is used to make delightful rosés in the Loire and in many new world regions. Cabernet Franc’s cold-hardiness makes it a natural for ice wines as well as late harvest dessert wines, as is done in Ontario and New York. Bordeaux, where it generally plays third fiddle in the Cabernet Sauvignon/Merlot/Cabernet Franc/Malbec/Petit Verdot quintet. However, Cabernet Franc often gets to be the star of the show in St. Émilion and in much of Bordeaux’s right bank, where some of the most prestigious wines of the region (and the world) give Cabernet Franc a starring role. 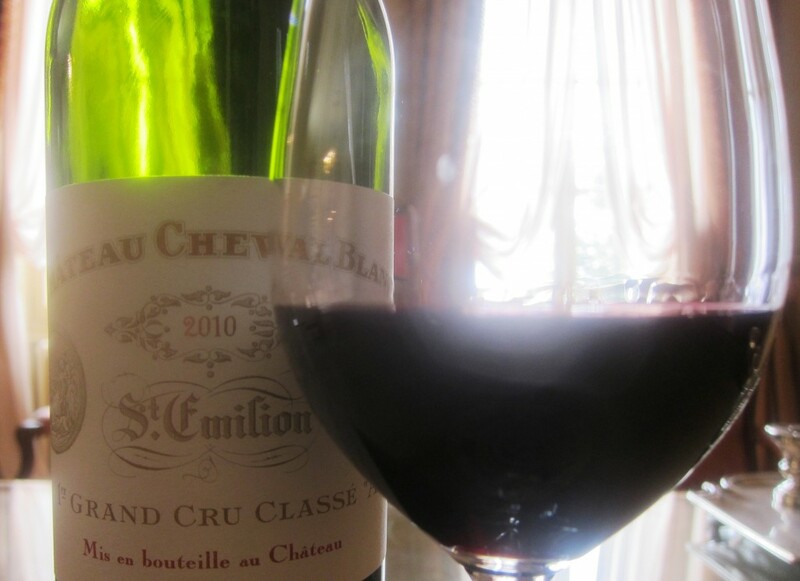 The vineyards at Château Cheval Blanc, one of the world’s most renowned wines, are planted to about 57% Cabernet Franc, and at Château Ausone, a St. Émilion Premier Grand Cru Classé “Category A,” the vineyards are about 50% Cabernet Franc and 50% Merlot. The Loire Valley, where the regions of Chinon, Bourgueil, and Saumur-Champigny make both red and rosé wines from a minimum of 90% Cabernet Franc. Cab Franc is sometimes called “Bouchy” or “Breton” in the Loire. Tuscany, of all places, where a brave soul at Tenuta di Trinoro makes a blended wine with varying levels of Cabernet Franc, feeling it is “under planted” in Bordeaux. Northern Italy, particularly Friuli and Veneto, where it goes by the name “Bordo”. Many people feel Cabernet Franc might have found a home in the vineyards of Hungary. Cabernet Franc in Hungary gained lots of attention in the late 1990’s when it became apparent that some regions of Hungary were not optimal for Cabernet Sauvignon to reach its full ripeness. Cabernet Franc is now grown widely in the Hungarian regions of Villány, Szekszárd, and Eger. Ontario, Canada, where is it made into both dry table wines and icewines. New York’s Finger Lakes and Long Island wine regions, as well as the states of Virginia, Michigan and Colorado. California and Washington State, where the grape appears as part of the Meritage Blend as well as in varietal wines. In the warm Napa Valley, the plantings are small, but in some cases quite prestigious. For instance, Della Valley Vineyards “Maya” is a blend of Cabernet Franc and Cabernet Sauvignon. The Bubbly Professor is “Miss Jane” Nickles of Austin, Texas.